It is the Post/Article about those mates who are using Android Phone and does not know how to download APK files to their Mobile Phone or PC directly from Google Play Store Instead of direct installation. Actually if you're using Android Phone and using Play Store App for downloading App to your Mobile Phone but that does not allow you to send that downloaded/installed App to your friend. 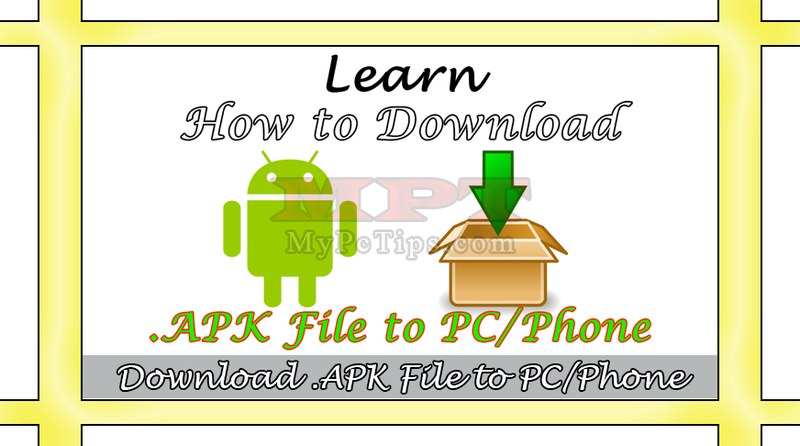 So this procedure will guide you to download Apps with .APK file which will allow you to install it manually and can send it to your friend. One another great need of this method is, if you're an Mobile Shopkeeper for providing Apps so you can easily download all apps to your PC and anytime you will be able to transfer them to your customers without download via Internet of Android Phone. It really great for those also who doesn't have high speed net to get these apps from their mates. Basically Apps file are .APK file, APK is extension of Android Apps so enjoy watching this Video to understand downloading Android Files directly from Google Play Store Free of Cost. Search for your App to download, then "CLICK" on that App, Now Copy "LINK" from URL Bar. Now simply visit "APK DOWNLOADER" website by clicking on it, "PASTE" link in Box and Hit "GENERATE DOWNLOAD LINK". Click on "CLICK HERE TO DOWNLOAD NOW" link to start downloading App.